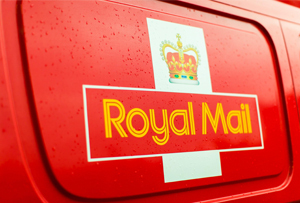 Has Vince Cable just admitted he screwed up the Royal Mail privatisation? The business secretary has ordered a review into the privatisation he championed. Is that tantamount to an admission? So business secretary Vince Cable has finally caved and ordered Lord Myners (who gets about a bit – remember the Co-op?) to begin an inquiry into the privatisation of Royal Mail, under the guise of assessing ‘the way the government conducts initial public offerings’. He's endured catcalls from the opposition for months - but this is prompted by heavy criticism by the National Audit Office of Royal Mail’s IPO: in October, the government floated 60% of shares at 330p, they leaped 38%, eventually peaking at 615p. The NAO has calculated taxpayers could have made an extra £750m on listing day if shares hadn’t been priced so low. To complicate matters further, it turned out Lazard Asset Management, a sister company of Lazard, which advised the government on pricing Royal Mail’s shares, was one of 16 ‘priority investors’ designated to receive a large number of shares. The implication being that Lazard advised the government to go for a low price because it stood to profit. Whether it was intended or just a coincidence is to be determined – but there’s no denying the company definitely profited, to the tune of £8m, when it more or less immediately sold its allocation. So much for the ‘stable, long-term and supportive shareholder base’ it was supposed to help form. Presumably, this is Cable trying to pre-empt a report due to be published tomorrow by MPs, which is expected to criticise the value (or lack thereof) achieved by Royal Mail’s privatisation. What doesn’t really help Cable’s case is that as shares rose after the listing, he called it ‘froth and speculation’. Right now Royal Mail is trading at more than 40% above its opening price. In hindsight, perhaps that comment was ill-advised. You can’t help but feel for Cable: he’s always maintained he wanted to get the best possible price for Royal Mail – but he’s also pointed out the pricing was designed a) attract investors (which it definitely did) and b) to allow retail investors (ie. normal people) to be able to get a share of the action, too.